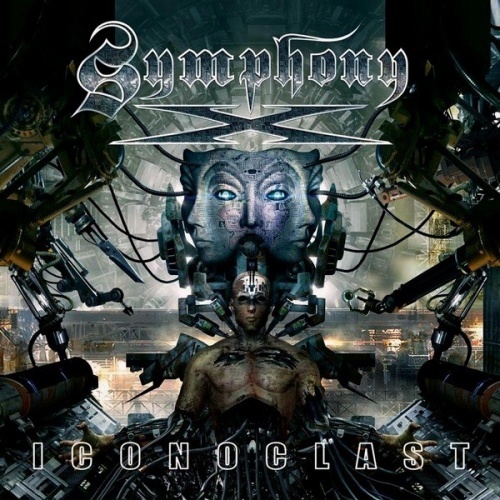 Symphony X's eighth studio opus (and first for Nuclear Blast), 2011's Iconoclast, sees the New Jersey progressive metal veterans exploring the potential dangers of technological overkill over the same, prog-power-symphonic metal foundation that's served them well for two decades. Why mess with a winning formula, right? And so, the album's 1-minute title track pulls no major sonic surprises, yet still sets the album's sophisticated tone, thanks to the lush orchestrations and choirs draped across the band's traditionally metallic attack. Some might say it comes across like Queensrÿche's "Suite Sister Mary" on steroids, but it also represents the most overblown qualities to be found here, along with subsequent epics like the "Children of a Faceless God" and the disconsolate "When All Is Lost." A series of more compact tracks are included as well, but they obviously lack nothing in the way of instrumental complexities; nor do they drop the ball in terms of advancing the album's story line, as evidenced by the likes of "Dehumanized" and "Electric Messiah." Among these, power metal-infused numbers like "The End of Innocence" and "Bastards of the Machine" prove especially catchy, in spite of the consistent tornado of notes spun between guitarist Michael Romeo and keyboardist Michael Pinnella, not to mention the percussive barrage churned up by drummer Jason Rullo. Amid all this controlled mayhem, bassist Mike LePond acquits himself well for someone who basically has to hold down the low end while playing third fiddle in the band's own "Mike" hierarchy; but kudos must go as always to vocalist Russell Allen, whose tuneful gruffness and superior emoting always stands out from prog metal's commonly regimented, squeaky-clean, and often piercing singing stereotypes. On a confusing note: Iconoclast's two-disc deluxe edition contains an additional three tracks that actually flesh out the story properly, thus pretty much damaging the incomplete standard CD version, so self-professed super-fans take heed. In every other sense, though, this album finds Symphony X in top fighting form, adding another memorable chapter to their impressive and ever expanding legacy.